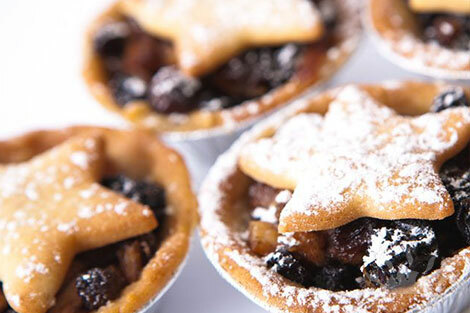 These cakes and specialties are available in the indicated seasons, following the natural course of nature and tradition. A colourful sponge cake completed with vanilla mousse, white chocolate and raspberries ganache,topped with fresh strawberries/ berries. 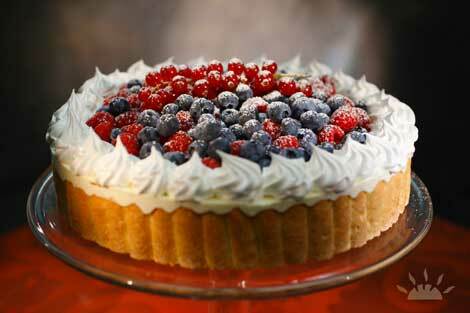 White Chocolate, fresh summer berries, cream, creme fraiche, eggs, flour, sugar, glucose syrup, Vanilla from vanilla pods. Wheat, eggs, milk, may contain: nuts or nut traces, soya traces. Spring & Summer: a bright and cheerful cake, traditionally prepared in Spring to celebrate women in Italy. With the crumbled Pan di Spagna Italian sponge head that makes it look like the beautiful yellow shrub flower. 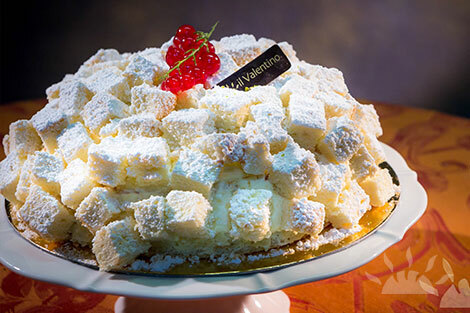 Soft sponge with pineapple and Italian pastry cream. Pan di Spagna Italian sponge, Pineapple, vanilla from vanilla pods, pastry cream. Wheat, eggs, milk, may contain: nut traces, soya traces. A classic yet delicious bakery cake where every Italian child has sunk his teeth at some stage. Topping of fresh strawberries on an Italian sweet crust & pastry cream base. Circled by ground coconut and pistachio. 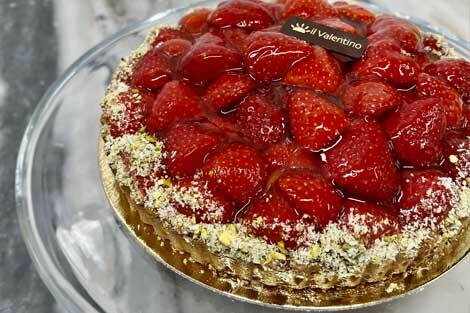 Flour, Butter, Sugar, Egg, Vanilla, Cornflour, Milk, Fresh Cream, Strawberries, Pistacchio, Coconut. An age-old recipe, Il Valentino matures the fruit and spices infusion for over a month before use. An heartwarming taste experience in a small bite. Ready to eat, serve at room temperature (18 c) or heat in oven. Sultanas, Apple, Ginger, Salt, Mixed Spices, Cornflour, Apricot, Kirschwasser, Flour, Butter, Eggs, Sugar. The traditional German Christmas cake. At il Valentino we hold an exclusive recipe from Alsace / Elsass, that delivers extra softness while encasing the precious mix of winter candied fruits. 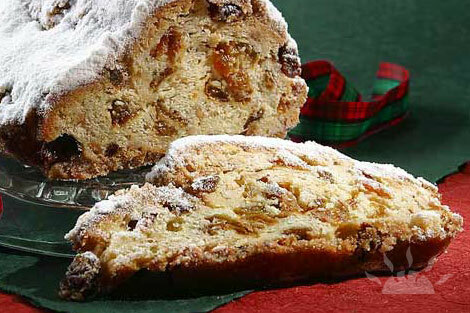 Flour, Fresh yeast, milk, eggs, butter, honey, sugar, salt, vanilla, hazelnut, walnut, pistaccio, almond, orange, lemon, sultanas, rum. 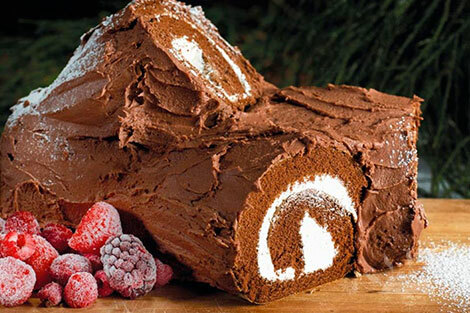 Traditional Christams Cake in France, true indulgence . Our Buches patissieres (traditional butter cream) are Hazelnut, or Chocolate or Pistachio. Our Buche glacée versions are "Royal" Chocolat, Vanilla Raspberry or Mango strawberry coconuts. 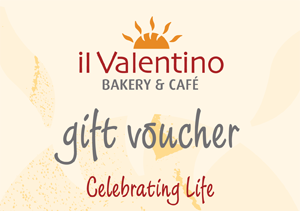 Treat your friends and family to a gift voucher surprise to spend in shop.